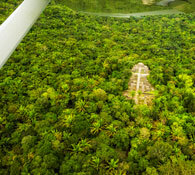 Explore the most exhilarating and mysterious wonders that Belize has to offer by booking an aerial shore excursion with Maya Island Air. Experience the historic Bay of Belize City as you soar above rustic colonial homes of the Baymen, marvel at the jaw-dropping grandeur of the majestic Great Blue Hole or immerse yourself in the ancient practices of the Mayans by journeying to the mystical Mayan Ruin of Lamanai. We work with the best pilots and tour operators in Belize to ensure you have the most thrilling shore excursion imaginable. 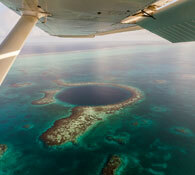 To book any of our available excursions or for more details, contact charters@mayaislandair.com or 501-223-1140.